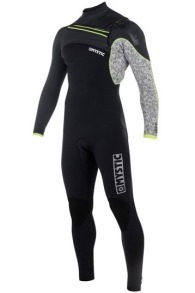 Buy Kite/Surf Wetsuits Online - Kitemana! If a wetsuit fits your body well a small layer of water will go between you and the suit. Your body will heat up this layer of water with your own body temperature. As soon as this layer of water gets warmer it will keep you warm during your complete kite session. 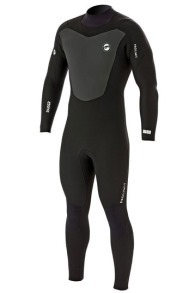 That's why we call it a wetsuit If your wetsuit fits good around your body, you will be well isolated from the cold. If your wetsuit is too big for your body the layer of water will be a lot bigger and your body won’t be able to heat up the water fast enough. A second important aspect of a wetsuit is the thickness of your neoprene. The thickness protects you directly against the cold environment. The more millimeters of neoprene you have the better you are protected against the cold. 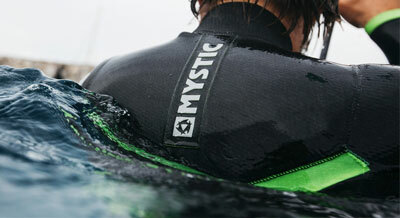 The neoprene inside a wetsuit is filled with small air bubbles. Normally a higher quality of neoprene has more air bubbles inside the material than the cheaper ones on the market. New technologies make sure that the air temperature inside the bubble stays nice a warm which will keep your body temperature at a steady level. Which wetsuit size do I need? The right size is very important. 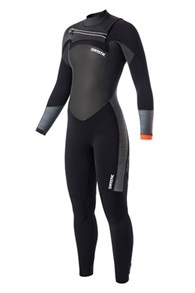 Besides the main goal of keeping yourself warm, you want to keep your freedom to move around inside the wetsuit. The size depends on a few factors, your length, your weight, and waist. As noted above it's important to get the right size for your wetsuit. A fun fact is that a wetsuit always fits your body once you're in the water. This happens because neoprene gets flexible as soon as it gets wet. On top of that, the layer of water makes sure that the suit will compress to your body on the right spots. Make sure you always check the size chart for each product. Sometimes a manufactures make different sizes for people who are average in weight but very tall, for example, Mystic has a lot of size with a T at the end, which stands for Tall. But also an MS if you're short and curvy. How thick should a wetsuit be? The thickness of a wetsuit makes sure you get an instant protection against the water and outside temperature. The more millimeters of neoprene you have the better you are protected against the cold. The downside from a thick wetsuit is your flexibility. Getting the right thickness is important but you can also use a pair of surf shoes, gloves and a cap on those really cold days if needed. What are the different kinds of wetsuits? While choosing the perfect wetsuit for yourself you also have to consider the placement of the zipper. Some brands place the zipper in the front and some at the back. These so-called front- or back zip wetsuits both have a different character. Both wetsuits are good and have their own pros and cons. 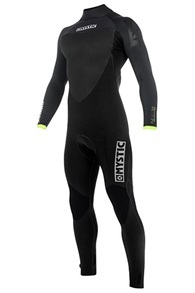 A front-zip wetsuit is often used by surfers. 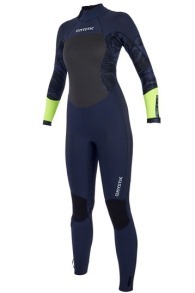 A big plus with a front-zip wetsuit is the fact that you won’t get as much water inside your wetsuit while duck diving, it covers the neck a lot more. Kitesurfers normally don't have this problem. The big plus with a back-zip wetsuit is that they go on and off a lot easier. 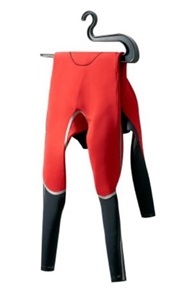 The full suit or also called a steamer is the well-known normal wetsuit with long arms and long legs. 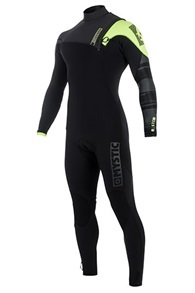 This suit is mainly used in relatively cold water and offers enough heat because your entire body is covered with a neoprene layer, in addition, it also offers extra protection when you fall. The Fullsuit is available in different thicknesses, the thickness depends on the water and outdoor temperature. For example, a 3mm/2mm is very suitable for the summer months, this is why they also go by the name summer wetsuit. 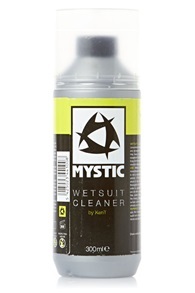 For the colder temperatures, a full suit with 6mm/5mm/4mm is definitely recommended, these are even available with a cap/hoodie attached to the wetsuit for the extremely cold days. The Spring suit is our favorite summer wetsuit. 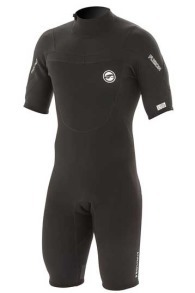 This suit has long arms and short legs, this gives you sufficient protection against the sun, the wetsuit is nice and warm and you don't suffer from water which enters your wetsuit from below at your shins/calves. 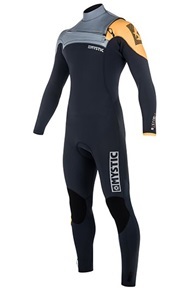 This wetsuit is available in 4mm/3mm/2mm. The short arm steamer is a very popular wetsuit among the wave surfers because your arms are free, you have a lot of freedom of movement and you can easily paddle. Even during kiting, this freedom of movement is very nice, in addition, the wetsuit is warmer than a spring suit and offers extra protection at your legs/knees. 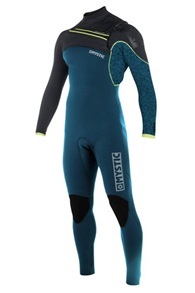 The shorty is a wetsuit with short arms and short legs and ideal for summer temperatures. The wetsuit, therefore, has less protection than other wetsuits, so your crashes will feel a bit harder. However, you have much more freedom of movement and it offers protection for your core. Because your arms and legs aren't covered, make sure you protect yourself against the sun. A wetsuit jacket is available in many different types, we listed these jackets at our thermo section. The name says it all, it's a jacket which you can wear on top or under your wetsuit to ensure that you will never get cold anymore. 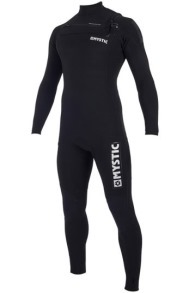 These thermo layers are available in thin neoprene versions from 0.5mm up to thick jackets with 5mm neoprene which you, of course, have to wear over your wetsuit. You can also use a thermo shirt as protection against the sun on a sunny kite spot. 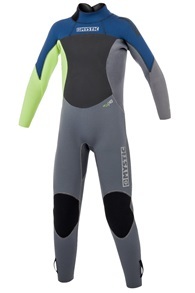 The Long/Short John is a wetsuit which you hardly ever see anymore. The wetsuit is now especially popular with sailing. Your arms are completely free in the Long/short John and the rest of your body is protected, as a result, it offers enough heat. The Long/Short John also has short legs, making it kind of a wetsuit for your in between sessions. What determines the quality of a wetsuit? There are a couple of factors which affect the quality of a wetsuit. The most important ones are the lining, seams and the neoprene. The lining is important because it's directly in touch with your body. A thick lining feels comfortable and keeps you really warm because the water between you and the wetsuit can heat up a lot more. 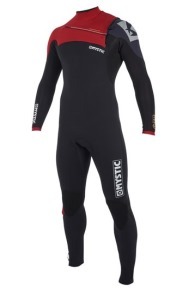 The more expensive wetsuit often have a thicker lining at the chest and back panels to keep you nice and warm. The overlock method is the cheapest and easiest way but also the least effective way to keep the water out. 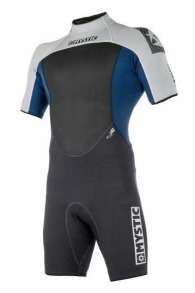 This type we often see at the entry level wetsuit (which we don’t sell). This method never is never used in the High-End wetsuits. Sometimes it doesn’t hurt hitting the water in a cheap shorty but as soon as it gets colder we recommend using a better type of wetsuit. Also, these type of seams can sometimes stick out a little bit and can hurt you pretty bad. With the flatlock method, they add two pieces of cross cut neoprene together so they become almost one again. Still, this method is not very effective because they make the seams through the neoprene. By doing this you always get little holes in your wetsuit. 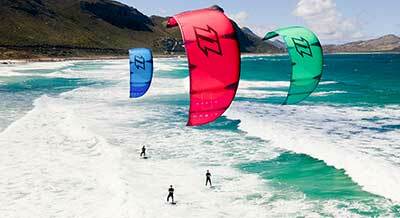 Kitesurfing with flatlock seams is recommended for sunny summer-like days with high temperature. Blind stitching is by far the best way to put neoprene together. With this method, the stitching only goes halfway through the neoprene. The inside is kept together with clue and seams, this method doesn’t only isolate the wetsuit very well it also feels really soft and comfortable. The more expensive suits are often blind stitched because it also gives you a lot more flexibility. Besides sewing the neoprene, the seams often get taped with a clue to make them extra watertight. 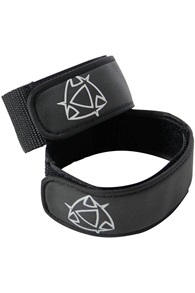 Neoprene tape gives you extra flexibility and is watertight. The most watertight form of seaming is Liquid Taped. With this method, your wetsuit is 100% waterproof. Really nice to have during the cold winter months. A wetsuit should fit you properly, that's a fact. By using the size chart you can make a good discussion online whether it will fit or not. If it does occur that it ain't the right fit for your body, no worries. You can always return it in exchange for the right one. We will send you a good one as soon as we receive your returned item(s). If you have any doubts don’t hesitate to give us a call or send us an email and we will gladly help you get the perfect fit.